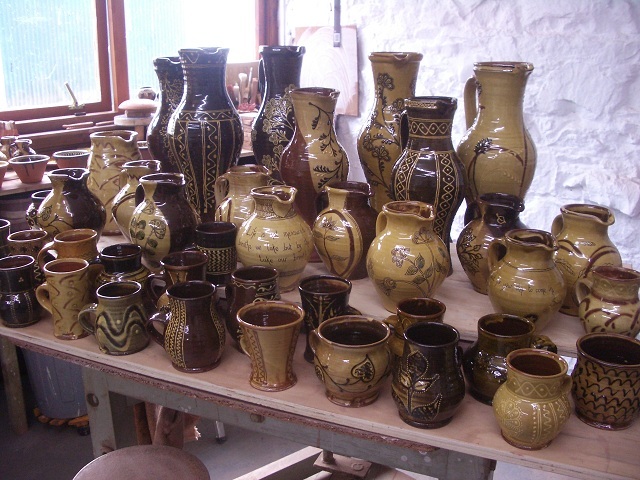 There were about 80 or 90 pots in the firing. I unpacked this lunch time after much procrastinating and avoiding the issue. There are 3 that are under fired and one that broke. How’s that for a success rate? Am rather in shock if truth be told. Mugs mugs mugs. 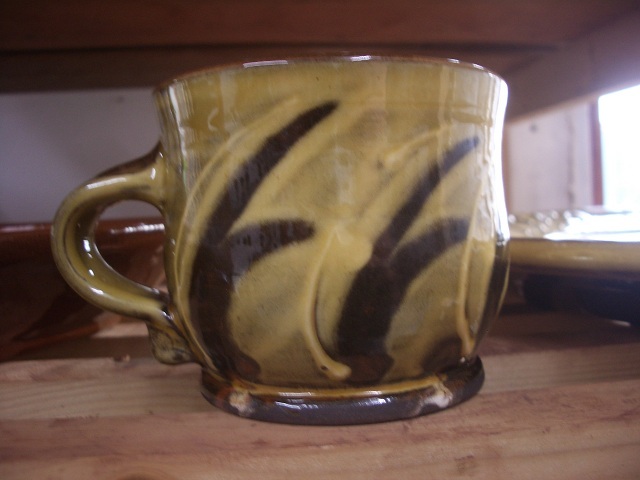 Not all 50 of the mugs got into this firing, so some will get the next round. There are lots though. I think this mug is my favourite pot from it. The Queen’s Jubilee plate was in there too, I forgot to take a picture. I’ll get one tomorrow. 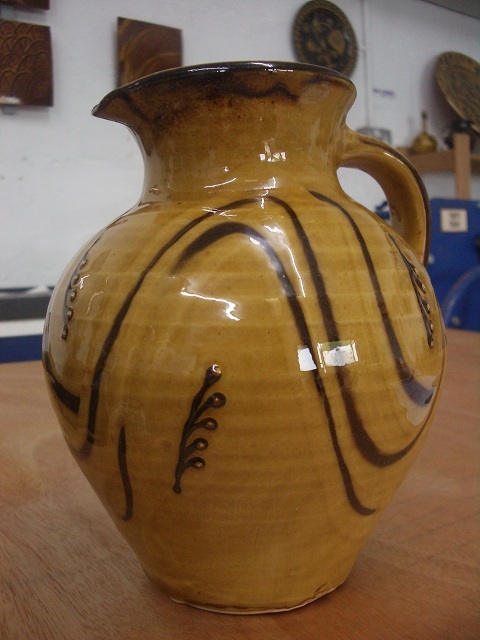 This is that very slippy sloppy jug that I showed freshly decorated a couple of weeks back. I could see this pot throughout the firing, it was sitting just to the right of a spy hole, near the top of the kiln above the bag wall. They are all pretty much good, I’m stunned and surprised. In many ways they are too good if that makes sense, they are extremely clean and well you know potters, never happy, I’d like a bit more umph, a bit more evidence of wood firing. I want to go again, let me at the kiln again, oh I need more pots first and this weekend is Spring Fling so got to finish getting ready for that. 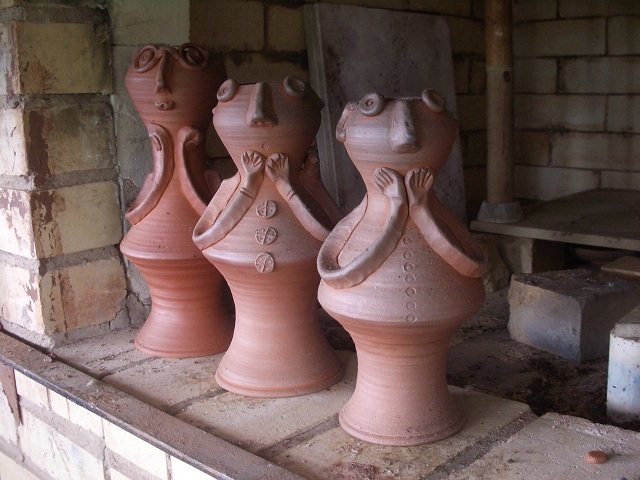 Do come and see the pots if you get a chance this weekend, it’s on the 2nd to 5th June, 10.30 till 5.30 each day. Free app for i-phones and androids available, links on the site, down loadable brochure on the site too, beautiful real physical brochure available across the region, come on over, follow Spring Fling signs across the countryside and have an art and craft adventure! 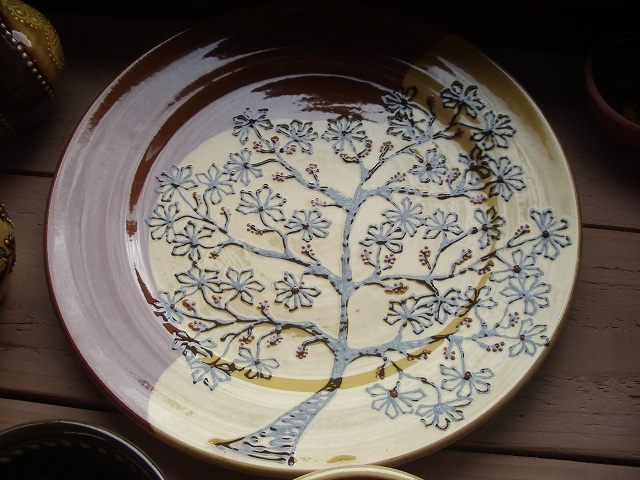 This entry was posted in fat jugs, Spring Fling, wood fired pots, wood firing. Bookmark the permalink. Way beautiful, I see some wood action there! Yes, that cup is my favorite too!!! yummy yummy!!!!! Brilliant! That slippy sloppy pitcher/jug is not sloppy any longer! Go Hannah! Sometimes the Kiln Gods toy with mortals this way.5% failure for woodfire shows that someone taught you the secret incantations. Or was it just the dragon fire? Congratulations on a job well done. They look good Hannah (too good??) and yes that mug looks delicious. Wow! 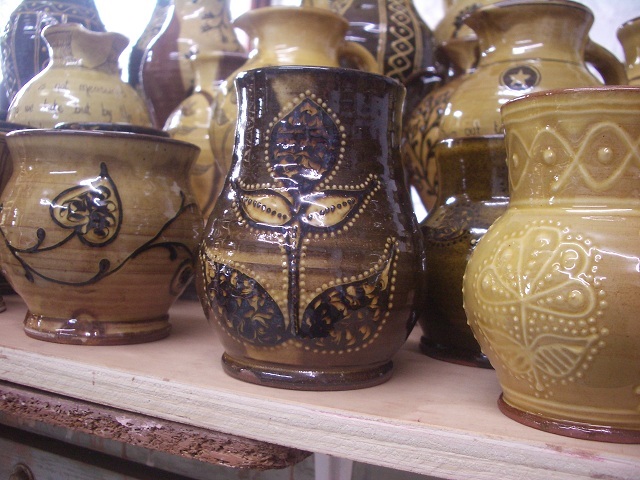 Some lovely pots and some very lovely indeed pots.The men are delicious.